Share the Health! Sponsor a Member. 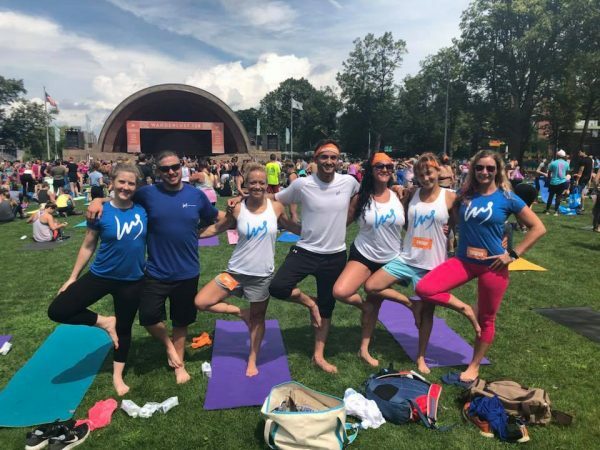 Introducing WellStrong: A nonprofit organization focused on helping recovering addicts get stronger physically and emotionally in order to stay well and engaged in satisfying and productive lives. WellStrong looks like a typical gym, but that’s really just a small part of it. WellStrong is a far-reaching fitness and wellness community for people in recovery from substance use disorder. This organization offers a safe, supportive, sober environment that allows people in all stages of recovery to participate in activities that have been shown to reduce relapse rates. At the WellStrong Studio and sponsored events, those in long-term recovery offer hope and inspiration to those in early recovery. Members are able to connect in an unstructured, activity-based environment as they strength-train, work out, and participate in fitness classes, yoga classes, meditation, support groups, hiking expeditions, races, or group running training.